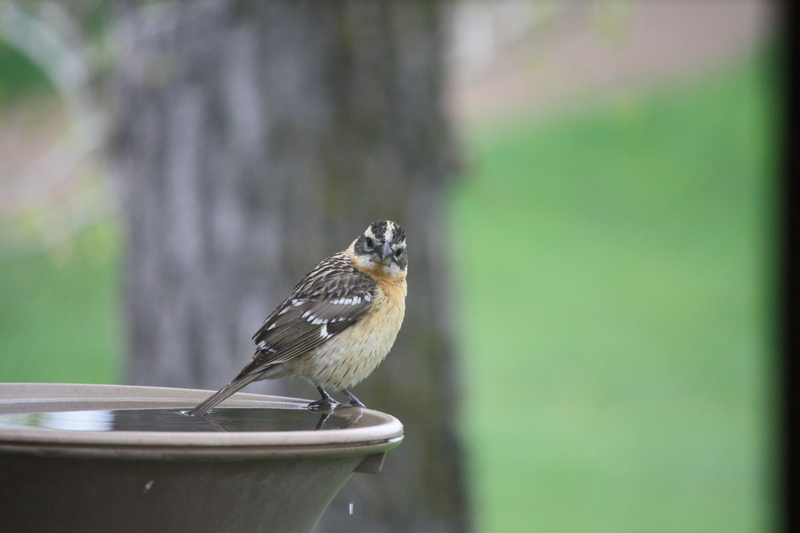 The activity at the bird feeders has been entertaining, with lots of colorful characters turning up for a meal, a drink of water, a bath or just to meet and greet. 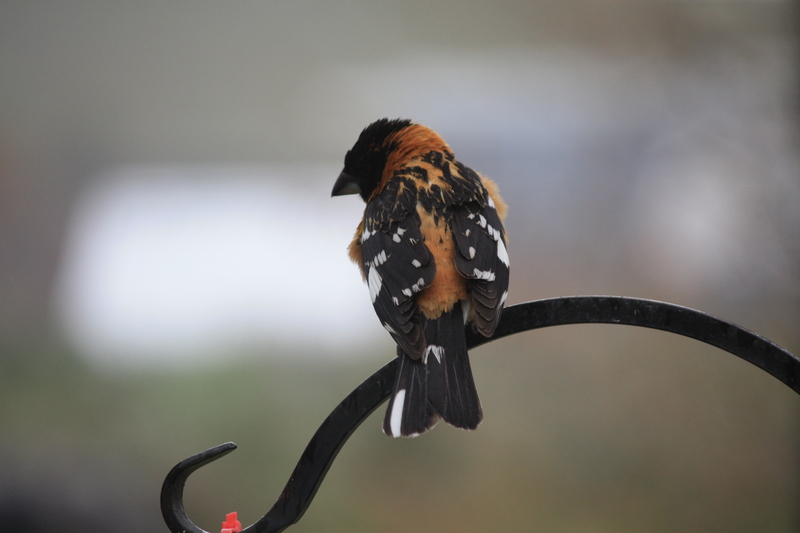 This very handsome grosbeak is surveying the possibilities. “Guess I’ll get comfy and watch the action” . . . . 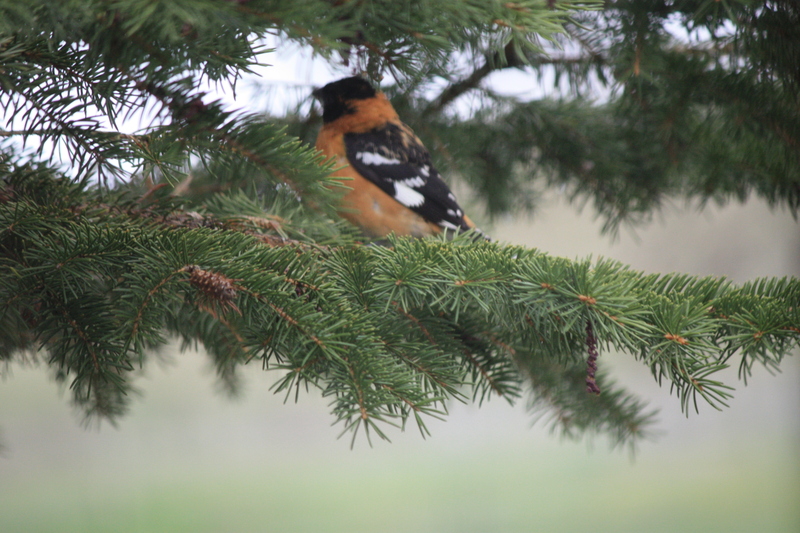 The grosbeak makes a colorful splash in the evergreen bough where he decided to tend to his grooming and observe the competition. “Well girls, I’m here in flying colors!” . . . .
Who’s this show off strutting his stuff on the skillet? Greedy guy is getting away with the best of breakfast and will get lots of attention with those flashy colors. 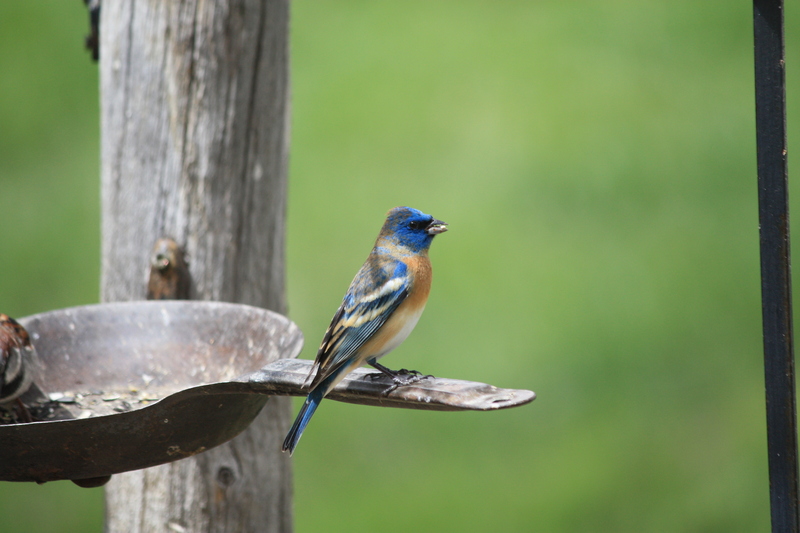 Lazuli buntings are just passing through and will break your heart with their beauty. “What does a guy have to do to get service?” . . . . The direct gaze and imperious pose says this sparrow is not to be taken lightly. He has arrived for a drink and a bath, and isn’t going to let any flashy-colored passers-by take over. on the pond . . . .
A pair of Canadian geese drop in for a float on the pond as they travel north for the summer. 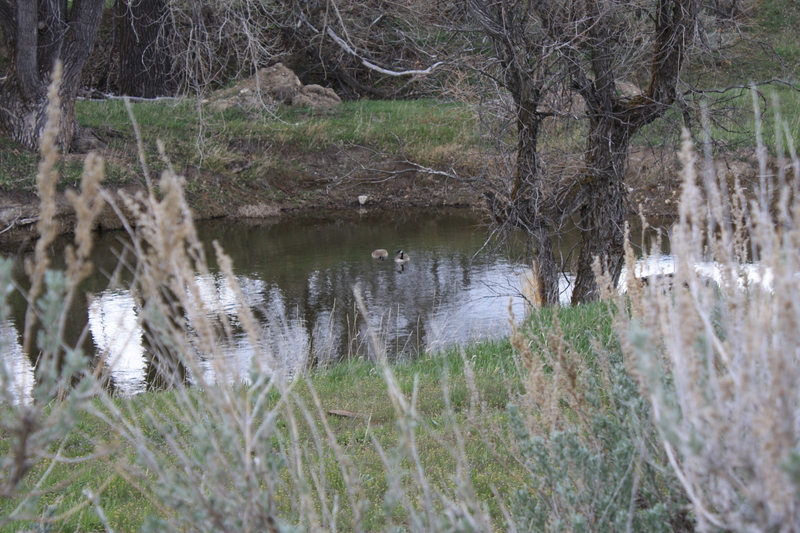 They take flight when they see us walking, so a sneak peak through the sagebrush is the best approach. A more powerful lens would help also. a flock of finches . . . . 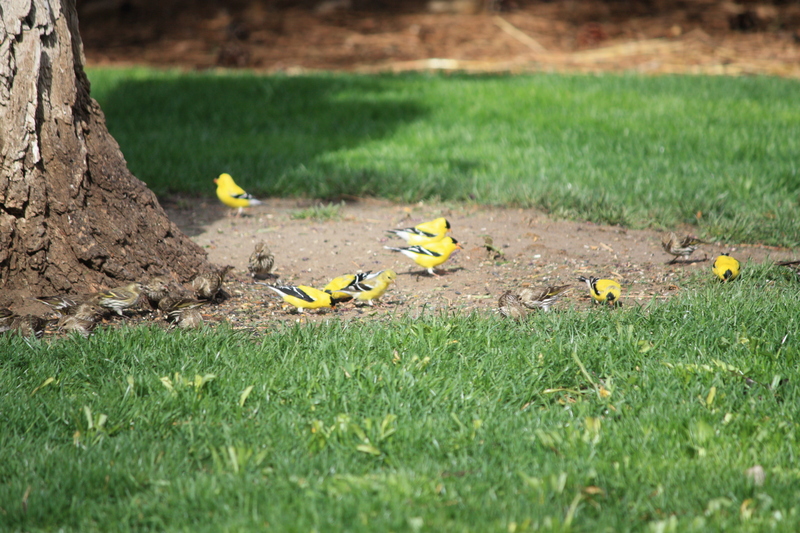 These American goldfinch arrive each spring and never fail to delight with their bright yellow color and sweet song. They cluster around the feeder and water fountain and fill the tree tops with their chirping and chattering. How wonderful to have birds in our lives!